Jeff Sinclair relocated to Rincon, Puerto Rico in 2007 and established Rincon Massage Therapy and Holistic Health. Jeff specializes in the Asian Healing Arts. 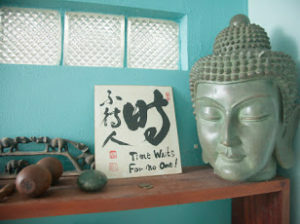 His treatment protocols include: Traditional Thai Massage, Table Thai Massage, Tui Na Sports Techniques, Seitai Shiatsu, Cupping, Gua Sha, Circulatory (Swedish Massage), and Deep Tissue Sculpting.